The Tulsa Police Department’s (TPD) Riverside Traffic Unit will engage in a month-long campaign during March to crack down on traffic law violations in an effort to reduce the frequency and severity of traffic accidents. The campaign will increase TPD’s efforts to catch drivers who are violating the speed limit and driving recklessly, particularly along the Broken Arrow Expressway, west of Sheridan Road, and U.S. 75, south of the downtown area. TPD officers will randomly monitor these roads and automatically issue citations to violators who have committed a traffic infraction. 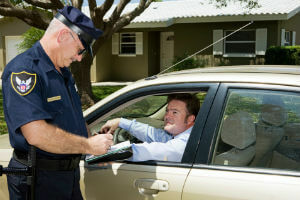 Drivers who are caught violating traffic laws will face a ticket with a fine of $150 to $500 and may spend as long as 10 days in jail. No warnings will be provided throughout the duration of the campaign. Need an auto accident attorney in Tulsa? Please contact our office today to schedule a free consultation. During the campaign, law enforcement officials are reminding Tulsa drivers to stay alert when behind the wheel and to refrain from activity that would cause distractions or aggression while driving. Electronic devices should not be used while driving and drivers are encouraged to always use their seat belts and follow the direction of all posted warning signs. The TPD’s Riverside Division has used similar tactics since September and has focused on enforcing traffic laws in school and construction zones, as well as seat belt use. If you or someone you love has been injured in an automobile accident caused by a negligent driver, our auto accident attorneys in Tulsa can help. We can guide you through the claims process and possibly maximize your compensation for medical bills, lost wages, and pain and suffering. Contact us for a free, no-obligation consultation to determine if you have legal options. We will not charge you any fees unless we recover compensation on your behalf.